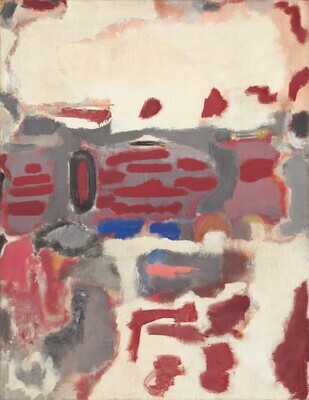 Possibly Mark Rothko: Recent Paintings, Betty Parsons Gallery, New York, 1948. American Paintings: An Illustrated Catalogue. National Gallery of Art, Washington, 1992: 311, repro. Anfam, David. Mark Rothko: The Works on Canvas: Catalogue Raisonné. New Haven and London, 1998: no. 361, repro. Langley, Allison, and Suzanne Quillen Lomax. "Mark Rothko's Multiforms, 1946-1950: Transforming the Painted Surface." Facture 2 (2015): 111-137, Table 1 no. 8.